The Franchise is proud to be among the top hard surface service providers in Northern New Jersey. We couldn't be prouder of this award because it means that every client has found our work to be exceptional. 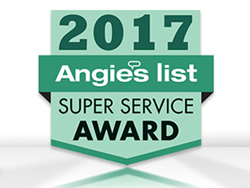 Angie's List granted its Super Service Award (SSA) 2017 to Sir Grout Northern New Jersey for exemplary customer service. Each year, Angie's List recognizes the hard work of top-notch service professionals who receive a majority of excellent ratings and reviews from users. This website uses unique tools and support that enhance the search for professional services for both consumers and providers. Over two decades of experience, 700 service categories, and more than ten million verified reviews make this online directory one of the best sources of information about home service providers in America. If you are looking for a reliable hard surface restoration service for home or commercial areas, contact Sir Grout Northern New Jersey's team of experts. You can call (201) 571-2424 or visit their website at http://www.sirgroutnorthnj.com.